Almost certainly the most excellent lip balm to be had! Bursting with lush plant oils and hydrating butters, like Sweet Almond and Jojoba Oils. Contains a generous amount of rich and creamy Shea Butter, decadent Cocoa butter and smoothing Avocado Butter. This lip-protecting, splendidly smooth formulation helps generate serious and lasting hydration for your lips. 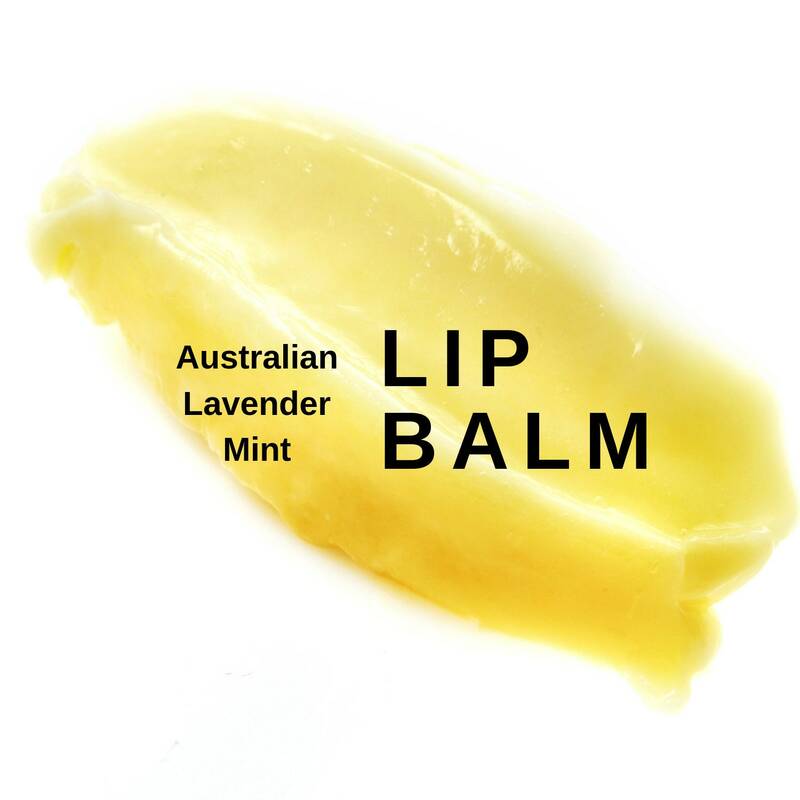 Made with just the right amount of pure Australian lavender and peppermint essential oils. Never leaves a greasy or waxy feel to your lips. No artificial ingredients, colors or flavors! Ingredients: Sweet Almond Oil, Yellow Beeswax, Castor Seed Oil, Shea Butter, Cocoa Butter, Jojoba Seed Oil, Meadowfoam Seed Oil, Evening Primrose Oil, Avocado Butter, Vitamin E, Sunflower Seed Oil, Rosehip Seed Oil, Aloe Oil, Neem Seed Oil, Rosemary Leaf Extract, Organic Sunflower Seed Oil, Pure Australian Lavender Essential Oil, Pure Australian Peppermint Essential Oil. Apply liberally to lips. Discontinue use if irritation occurs. I gladly accept immediate payment through direct checkout or via PayPal using debit or credit cards. Washington State Residents: Fresh-Picked Beauty, LLC (d.b.a Overland Naturals) is a registered business and must charge you sales tax on your order. Once your item is paid for, I will carefully package it and ship it within 2-3 business days. I ship via the United States Postal Service . I will email you the delivery confirmation tracking number for no extra charge. I ship to the United States. If you have any problems with your order (not received, not what you were expecting, etc. ) Please contact me so that I can make it right for you. Your happiness is my number one top priority and I will do what I can to ensure your happiness with Overland Naturals. Please keep in mind that the essential oils you are buying are 100% natural so they tend to have very minor variations from batch to batch (such as slight color variations and/or very slight aroma variations). All returns must be processed and received within 14 days of your order date, the essential oil must be UNOPENED and the bottle's tamper seal must be unbroken in order to be returned. You will be refunded in full to your original form of payment. Please note, your original shipping charges are not refunded. To start the process please get in touch at customerservice@overlandnaturals.com. Please include your order number from your receipt. Please note: we do not accept exchanges. If you receive a damaged item, contact us immediately at customerservice@overlandnaturals.com. I will happily replace any damaged items provided they are reported within 24 hours of order delivery. Please submit photo images of the damaged product. 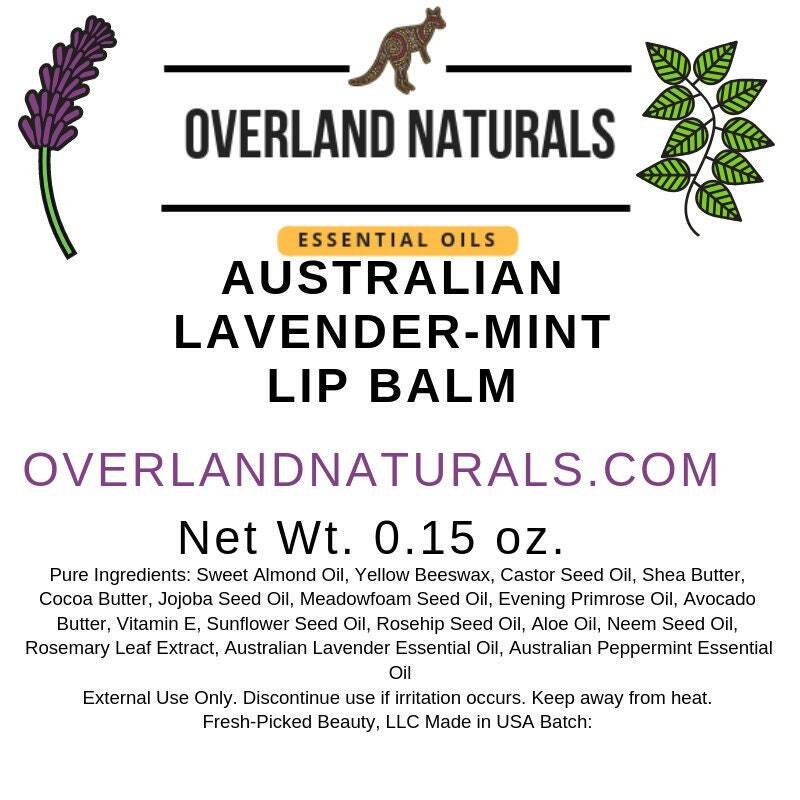 Please note that Overland Naturals is not responsible for any additional shipping costs for returns and exchanges. We do not assume responsibility for lost or stolen packages, nor for reimbursement or compensation of returned packages lost in transit without proof of delivery. GC/MS Testing Reports: I am more than happy to provide you with batch specific GC/MS for every oil I sale! Just ask! Email me at customerservice@overlandnaturals.com and provide me the name of the oil and the batch code from the bottom of your bottle. Question: What is an essential oil? Answer: A concentrated liquid that is extracted from plant parts. Essential oils contain volatile aroma compounds that are not soluble in water. The molecules are very tiny and can evaporate quickly, which allows them to be absorbed into our bodies by inhalation and/or by applying them to the skin. Essential oils can be extracted by steam-distillation or expression. Question: What can I do with the essential oils? Answer: Use them in aromatherapy remedies, diffuse them into the air, use them in lotions and creams, make your own perfume and a number of other fun ways. Question: Where can I find recipes that use essential oils? Answer: You will find tons of aromatherapy recipes on the internet. There are lots of great books available that will teach you how to make your own skincare and body treatments using essential oils. Question: Where do you get your essential oils from? Answer: All of the essential oils are sourced from the best and most responsible farms and distilleries in Australia. All of the essential oils sold by Overland Naturals are guaranteed to be authentic and are GC/MS analyzed for quality assurance and all oils must meet strict odor and analytical requirements before they are accepted for purchase. Question: Can I get the GC/MS reports for your essential oils? Answer: Of course! Please email me at customerservice@overlandnaturals and tell me the specific name of the essential oil and the batch code from the bottom of your bottle. I am more than happy to send you the testing report! Question: Why is my bottle not filled all the way up to the top with essential oil? Answer: Good question! Rest assured that your bottle contains the listed 5 ml of essential. Actually, we overfill the bottle a little bit to make sure you get every precious drop of essential oil. We fill by volume and not weight. Each oil will weigh slightly different based on the viscosity of each oil.